Danone said sales growth slowed sharply in the third quarter, reflecting falling sales of its infant formula products in China amid tough comparables and a slower birth rate. The company also saw lost dairy sales due to a consumer boycott in Morocco. Warm weather in Europe, however, lifted sales at its water division, while growth also accelerated at its dairy and plant-based business in North America, where Danone is integrating organic food group WhiteWave. 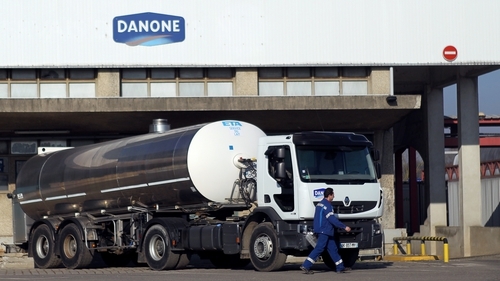 Danone said today it was keeping its full year financial goals. "Danone's focus will remain on accelerating growth and maximising efficiencies. In 2018 the company will progress towards its 2020 ambition through further sales growth acceleration and an improved recurring operating margin," the company said. Danone reiterated its expectation for a double-digit rise in 2018 underlying earnings per share (EPS), excluding the impact of the sale of a stake in Japan's Yakult. Danone, the world's largest yoghurt maker with brands including Actimel and Activia, said third-quarter sales reached €6.186 billion, marking a like-for-like sales increase of 1.4% - slightly above analysts' forecasts for 1.2% growth. In China, where Danone competes in the baby food market with Nestle and Reckitt Benckiser, there has been strong demand for baby formula products thanks to a sharp rise in birth rates tied to the end of China's one-child policy, and the emergence of new cities and an affluent middle class. Morocco, which counts for 2% of group sales, was another weak spot as a result of a consumer boycott, with dairy sales in Morocco down 40% in the second quarter.